I simply cannot leave us hanging before the holidays in the middle of a book! Especially not Harry Potter And The Order Of The Phoenix . No siree. We are carrying along with the Potter Binge (hosted by The Estella Society, of course) as we hang our stockings by the chimney with care, people! 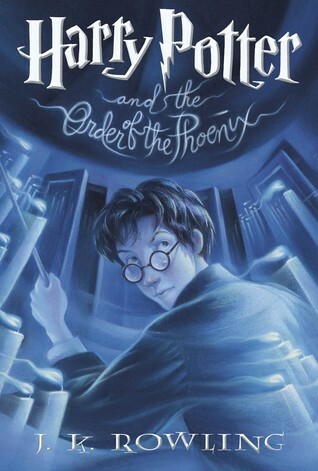 Here are my spoiler-iffic thoughts on revisiting Harry Potter And The Order Of The Phoenix , Part 2. The Hagid/Madam Maxime romance is hugely adorable. Pun intended. Where does Professor Grubbly-Plank go when Hagrid comes back? She can’t have a regular job, can she? Nobody can take two months off with no notice, can they? Unless they’re one of those women who didn’t know they were pregnant. Then I suppose you’d have to let them because maternity leave, but you’d be lacking the notice because the baby just like appeared and everyone was shocked. I’ve been assured this really does happen, despite my skepticism. Thestrels! It breaks my heart that Neville can see them. Hasn’t that boy been through enough?! Oh man. Harry and Cho’s kiss. Harry’s internal monologue. That Rowling speaks to my awkward teenage self in a way that no other YA author has. I love when Ginny calls Harry out for being a mopey prat when he thinks he’s being possessed by Voldemort after the whole snake attack thing. She’s like “DUDE. You know I was possessed by Voldemort, you’d think you’d ask someone who knows, but nooooo you decide to get your angst on. Snap out of it!” I’m paraphrasing, but still. “God Rest Ye Merry Hippogriffs” is my new favorite Christmas carol. Sirius gave Harry a brief one-armed hug when he left to go back to school. Better than a handshake, I guess, but c’mon. The boy needs more hugs. You’re his Godfather, dude, bear hugs! Headless hats. Fred and George are creative geniuses. Fact: Umbridge bans Quibbler containing Harry’s Interview. 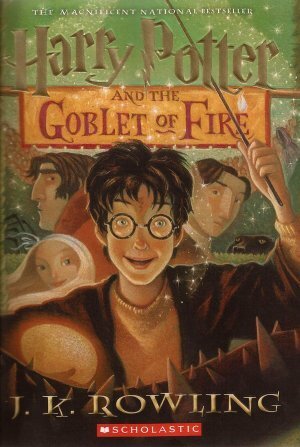 Fact: Hermione is gleeful because… FACT: Banning books will only encourage more people to read them. Bazinga. I love when McGonagall comforts Trelawney even though she thinks Trelawney is a huge fraud. She’s kind and compassionate, and if it pisses off Umbridge, all the better. OMG Harry. PAY ATTENTION IN OCCLUMENCY! I can’t even with you sometimes. Learning that one’s parents aren’t perfect is an important lesson, but a pretty big bummer to boot. Actually SEEING your father in one of his rotten moments must have really sucked. Makes me glad there’s no way for my eventual children to see all of my stupidity in stark relief. Give her hell for us, Peeves. Amen to that, Fred and George. Spectacular exit, BTW. Hagrid is too big a softy for his own good. Ooooh the Grawp affair. These kids taking their O.W.L.s gives me mad ACT flashbacks. Egg cups doing cartwheels? Vanishing iguanas? Turning ferrets into flamingos? This sounds like way more fun than calculus. Note to self: never call a Centaur “half-breed.” Actually, never call anything a “half-breed.” Ever. It’s incredibly rude in any context. Umbridge deserved every minute of her Centaur beatdown. Luna rides her Thestrel side saddle. Because of course. The baby headed Death Eater always freaks me out. Does Lupin’s forcible restraint of Harry as the tries to get to Sirius through the veil count as a hug? WHAT IS THE VEIL?! Is it a portal to the other side? Did it always exist and they built the Ministry around it? Is it just something the Dept. of Mysteries conjured up? It’s so… MYSTERIOUS. Harry’s discovery of the two way mirrors breaks my heart. If he’d used that he wouldn’t have had to borrow Umbridge’s fire and Sirius would have had it on him and… I can’t even. Dear Harry, breaking things doesn’t bring our loved ones back. Ooooh the ghost conundrum. So philosophical. Although I am a little disappointed that only wizards can become ghosts. I had high hopes for haunting. Ravenclaw, I am disappointed in us for bullying Luna by hiding her things. You’re better than that. The Order showing up at King’s Cross to threaten the Dursleys into behaving well is nice and all, but why didn’t they think of doing something like that sooner? Ah well. At least it’s a teeny bit of cheering up for poor Harry in his time of grief. And he got more hugs from Molly, so it’s all going to be OK. I notice Lupin still hasn’t broken down and officially hugged the boy. Remus, I’m disappointed in you, and I WILL be paying attention in the next two installments. For heaven’s sake. Even breaking these books into pieces I’m getting wordier and wordier with my reactions. In my defense, the themes deserve more discussion. I mean, DEATH? Life after death? The philosophical implications are staggering. All right y’all. Break it down. Tell me your thoughts on THE VEIL. I don’t know what my problem is, but every single solitary time I think about the final installment of The Lunar Chronicles by Marissa Meyer, I get Tori Amos stuck in my head. I can’t complain because “Winter” by Tori Amos is one of the most beautiful songs of all time, but it has absolutely nothing to do with the spacey robot-tastic fractured fairy tale epic. That’s right, kids, the final installment of The Lunar Chronicles happened and I’m here to tell you about it. Well. At least enough about it without ruining all the things. 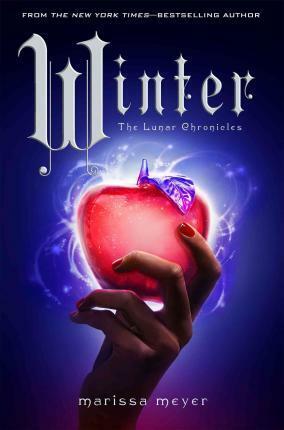 Since that’s nigh on impossible without discussing earlier books in the series, I recommend that you read Cinder (review), Scarlet (review) , Cress (review), and Fairest (review) before reading this review of Winter … Or just accept my big fat SPOILER ALERT right here. Proceed at your own risk. Winter is our resident Snow White. If Snow White lived on the moon and was driven half mad by her refusal to use her man brain manipulation skills, that is. She is known for her beauty which is all the more spectacular since she doesn’t go around bending everyone else’s perceptions to make them think she’s fabulous. She’s got the wickedest stepmother in all the land and she’s madly in love with her childhood pal/palace guard/highly unsuitable mate Jacin. Talk to me, Bookworms! Have you been reading The Lunar Chronicles? Do you have a feelings album? 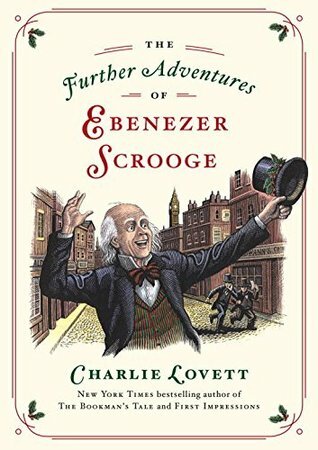 The Further Adventures of Ebenezer Scrooge by Charlie Lovett: Review & GIVEAWAY! Haul Out the Holly, Bookworms! The Further Adventures of Ebenezer Scrooge by Charlie Lovett picks up 20 years after our dear Ebenezer has his change of heart. The metamorphosis from vile curmudgeon to lovable eccentric is complete and true to his word, he’s spreading Christmas cheer all year long. Literally. Like, it’s hot and June and he’s talking about figgy pudding. In fact, it’s long since started getting on the nerves of his nearest and dearest. Fred, Bob Crachit, and his solicitor colleagues are kind of over his whole transformation. However, when Scrooge is visited by his old pal Jacob Marley (as he is periodically) he sets off on a mission to help him shed his chains a bit more quickly. He enlists the help of the three spirits who visited him so long ago, and by then end have spread all sorts of seasonally inappropriate Christmas cheer. It is nothing short of adorable and heartwarming, and the perfect holiday read. Which brings me to the EXCITING part! 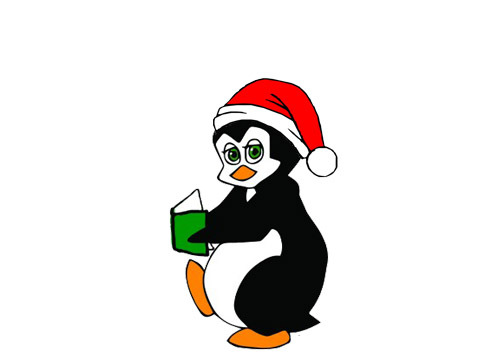 The good folks at Viking/Penguin are sponsoring a GIVEAWAY. Not only will you receive a copy of The Further Adventures of Ebenezer Scrooge, you’ll also receive a gorgeous Penguin Hardcover Classic edition of A Christmas Carol. Is there any better way to kick off your holiday season? I think not! Enter below! Imagine that in a Hagrid accent, would you? I’m still working my way through the Harry Potter series along with my favorite people at The Estella Society. POTTER BINGE! 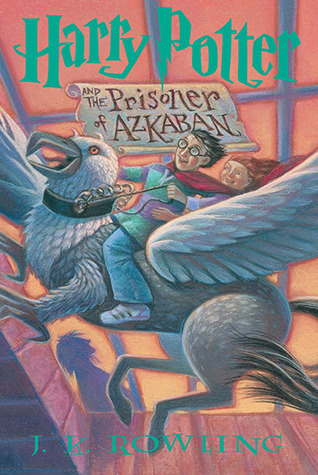 I’ve just finished up Harry Potter and the Prisoner of Azkaban , and as you know, I have some thoughts, reactions, and the like. Get your time turners ready… HERE WE GOOOOOOO! I know assume that Molly home schooled her brood before they went to Hogwarts, but I have to wonder why, once Ginny left, she didn’t decide to get a job outside the home to help with the finances. I don’t suppose she had a whole lot of time to do so between Ginny going off to school and the second rise of Voledemort… And I really have no idea what the wizarding job market was like at the time, but the state of their Gringott’s vault makes me want to cry… Then again, I think they had chickens and stuff. She was probably like the original witch homesteader. I bet she grew organic mandrakes and kept livestock and whatnot. STOP JUDGING MOLLY WEASLEY, KATIE. SHE IS THE BEST. Speaking of drunk uncle, how’s about drunken Aunt Marge? The worst. The Knight Bus sounds like a dreadful way to travel, all things considered. Chocolate! Cures what ails you… Especially if dementors are what ails you. Hermione could give any internet skeptic a run for their money. Girl throws serious shade at Divination. Snape as Granny Longbottom. It never gets old! Nose biting teacups are truly a gift for all occasions. Malfoy’s glee at having Buckbeak executed is troubling. Isn’t cruelty to animals a sign of a sociopath? I GET that Snape hated James, but what kind of person bad mouths an orphan’s parents to their face? Seriously douchey move, Snape. Probably why I can barely muster any sympathy for the man. Ever. Besides. Everyone knows that the best revenge is making the child of your enemy think you’re cool. Duh. Lupin’s guilt trip game is ON POINT. Lee Jordan’s Quidditch commentary kills me. The rules of the time turner hurt my brain. For one, I keep getting Cher stuck in my head. Plus, how far back in time can it go? What happens if you DO change things? Why couldn’t they have used a time turner to stop Voldemort and/or reverse any number of unfortunate deaths? I’m just going to have to put my trust in Rowling that there are REASONS but they’re very dense like tax law and I just shouldn’t think too hard about it. Oh Prongs. Remember that I time I told y’all about my patronus at great length? “You think the dead we love every truly leave us?” I’m not crying. YOU’RE CRYING. The further along we go in this project, the less sense I’m making. No matter, I’m having all the fun. How about you, Bookworms? Anybody else think that the Weasley’s old decrepit owl Errol is a fraud and a drunk?